The Securities and Exchange Commission (SEC) recently provided a roadmap of sorts for new online investment firms trying to ensure they can gin up investment through the Internet without violating securities laws. 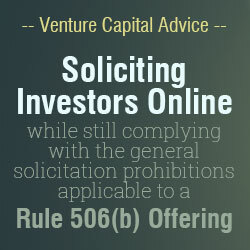 In response to a request for guidance from Citizen VC, Inc., the SEC issued a “no-action letter” indicating that the steps taken by Citizen VC to establish substantive pre-existing relationships with potential investors appear to be sufficient to allow Citizen VC to solicit investors online while still complying with the general solicitation prohibitions applicable to a Rule 506(b) offering. Section 5 of the Securities Act prohibits the sale of securities by an issuer in the United States without registration or an available exemption. In an effort to secure such an exemption, most issuers rely on Rule 506(b), which provides a set of criteria establishing a “safe harbor” that issuers can use to engage in private offerings. Included in that is the requirement that “… neither the issuer nor any person acting on its behalf shall offer to sell the securities by any form of general solicitation or general advertising …” The obvious prohibited conduct would be an issuer advertising the sale of its securities in a newspaper or on television. The Internet, however, creates much less obvious pitfalls for issuers. This is not surprising given that, due to its very nature, the Internet creates opportunities for relationships and investment platforms that couldn’t possibly have been contemplated by securities laws originally drafted in the wake of the Great Depression (F.D.R. never tweeted). While arguably an obvious conclusion, the SEC confirmed that a 506(b) offering cannot be properly conducted via an unrestricted website (i.e., a website not password protected and otherwise generally accessible to the public). Specifically, the SEC stated “… the use of an unrestricted, publicly available website constitutes a general solicitation…” The analysis becomes more complicated, however, when applied to websites that limit access to only those prospective investors that have previously registered with the website and subsequently granted password protected access to investment materials. This is the question Citizen VC was looking to answer. Citizen VC described itself to the SEC as “an online venture capital firm that owns and administers a website (https://citizen.vc) that facilitates indirect investment by its prequalified, accredited and sophisticated Members in seed, early-stage, emerging growth and late-stage private companies … through [special purpose vehicles (SPVs)] organized and managed by [a wholly owned subsidiary of Citizen VC (the Manager)].” The landing page for Citizen VC’s website, which contains only generic marketing information about Citizen VC, can be searched for and accessed by anyone with an Internet connection. In order to access potential investment materials, however, a prospective investor must register with the website and be accepted by Citizen VC for membership. 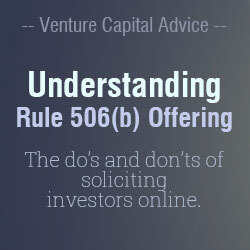 Generally fostering interactions both online and offline between the prospective investor and Citizen VC. Citizen VC argued to the SEC that these policies and procedures are sufficient to establish a pre-existing, substantive relationship between Citizen VC and its prospective investors, and that granting access to approved investors in a password protected area of the Citizen VC website to materials related to Citizen VC’s unregistered offerings does constitute general solicitation. The SEC agreed, and affirmed that the “quality of the relationship between an issuer (or its agent) and an investor is the most important factor in determining whether a ‘substantive’ relationship exists.” The Citizen VC model provides a potential blueprint for establishing a pre-existing relationship in the web-based context. While the Citizen VC no-action letter provides useful guidance, companies seeking to raise money over the Internet should not interpret this approval by the SEC to mean that an individual company looking to raise money directly (as opposed to conducting the offering through a broker-dealer or an investment advisor) can establish a pre-existing, substantive relationship with a prospective investor simply by taking the actions described by Citizen VC. The Citizen VC no-action letter specifically addresses this issue in the context of an investment advisor and, as indicated in the SEC’s recently published Compliance and Disclosure Interpretations, the fiduciary duties owed by an investment advisor to its clients are an important factor in the analysis. While the SEC stated that there may be facts and circumstance in which someone other than a broker-dealer or an investment advisor could establish a pre-existing, substantive relationship sufficient to avoid a general solicitation, it does not appear that the Citizen VC policies and procedures are alone sufficient to do so. The best early-stage companies are usually the ones that are not afraid to innovate and explore undiscovered territories – but the entrepreneurial spirit shouldn’t lead a company into being the test-case for an area of securities law that is still unclear. 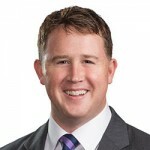 Adam Hull is a partner in the Corporate Practice Group in the Dallas office of Gardere Wynne Sewell LLP. Mr. Hull represents private equity and venture capital funds in the acquisition of companies across a wide variety of industries, including technology, life sciences, midstream natural gas, oil and gas field services, hospitality and manufacturing. He often continues to work with portfolio companies post-acquisition. Adam also represents issuers in venture capital and private equity financing and regularly advises companies on general corporate compliance and governance matters. Private Placement Memorandum, raise $50 million dollars. Would offer 10% of Company, plus $100 million shares of common stock at (.50) per share. Also,need accredited investors to complete deal.